Select Kid’s Jumping Beans Baby Clothing was $12, as low as $2.40! You are here: Home / Great Deals / Kid’s Jumping Beans Shorts & Tees Just $1.80! Kid’s Jumping Beans Shorts & Tees Just $1.80! Stock up now for next summer! Head over to Kohls.com to check out their sale on Kid’s Jumping Beans Baby Clothing! 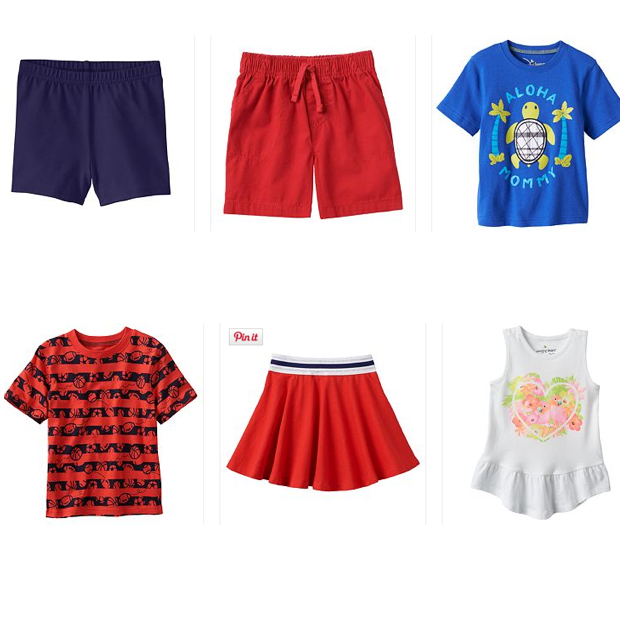 Select Tees and Shorts for Baby & Toddler originally $12, are now on sale for as low as $2.40! Final price is only $1.80 after getting an extra 25% off with the promo code FIREPLACE at checkout! Get $10 Kohl’s Cash for every $50 spent, and FREE Shipping with $50 orders or choose FREE Store Pickup if available. Thanks, Free Stuff Finder! Click here to check out more Great Deals!